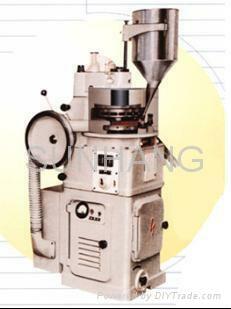 This machine is designed for pressing round tablets from various kinds of granular materials. 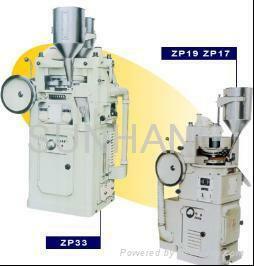 It is primary machine to fit batch production of tablets. 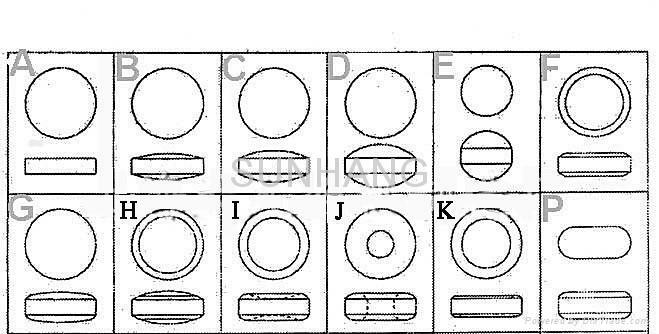 During operation, the speed of the turret rotation, the depth of the filling material and the thickness of the tablets can be adjusted. The mechanical buffer unit will prevent punches and apparatus from overload damage. 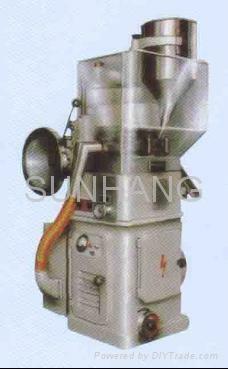 A powder suction unit is attached to take in the residual powder can be eliminated and the collected powder material can be reused. This machine has won the fine Quality Product Prize awarded by China National Medical Management Bureau.